Are you a Philadelphia County or Montgomery County resident? Work with Sallen Law to get your estate in order. At Sallen Law, we are proud to empower families and individuals with the knowledge that the assets they have worked their whole lives to attain will be protected, regardless of the circumstances. We provide clients with customized solutions to ensure that all of their unique needs are met and their assets are passing according to their wishes. 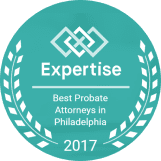 Our firm helps clients navigate the estate planning process, handling a wide range of legal matters from trusts and wills to guardianship for seniors and probate/estate administration. We are prepared to work with your financial advisers, accountants, and other professionals to ensure that your plan reflects all aspects of your life. Turn to an experienced estate planning attorney to start the process. Connect with Sallen Law for a free phone consultation. Get in touch by calling (215) 809-3900 or filling out our contact form. As an estate planning firm, Sallen Law stands out from the rest. Rebecca Sallen, our founding attorney, established this firm in an effort to provide a streamlined experience for individuals and families dealing with estate planning matters. We provide skilled assistance in ensuring that our clients' assets, and those of their beneficiaries, are secure and beyond dispute. Our team strives to firmly grasp each clients’ individual needs and their family dynamics, working with your financial advisors, insurance agents, and other financial partners to make sure your assets and goals are protected. With this in mind, Attorney Sallen and our legal team will work hard in developing a tailored estate plan.